What is the reasoning behind this switch—-would it allow the “auxiliary” to be 100% isolated from the house battery and the start battery and if so, why would you want to do that? 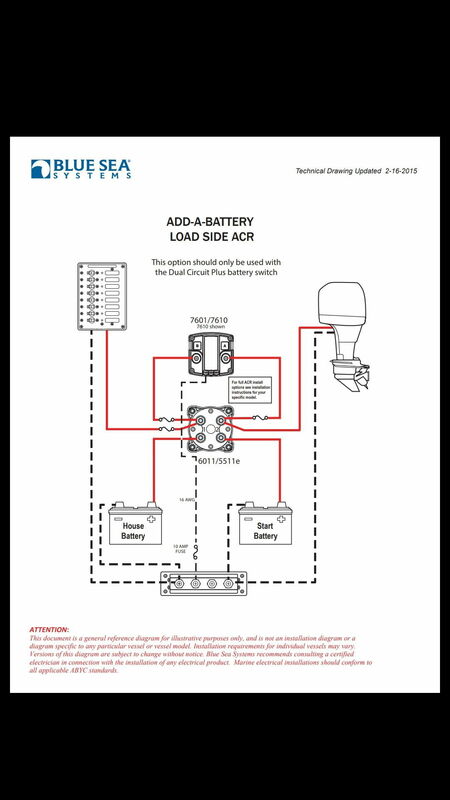 I would like to add a battery to an existing two bank battery layout to power an electric windlass—-it appears that this schematic is how I should model the addition but I don’t quite understand that second switch—-is it necessary or just a suggested add-on? Looks like they are using the Aux. Bat. to run a high draw item (in this case a bow thruster). Having the extra switch isolates the Aux and at the same time allows to them to tie in the House Bat if needed. Looks like a good option to me. Are you running an on board multi bank charger? If so, I would hook the ACR leads up to the load side of the battery switches vs the battery side. This will keep the ACR's from activating when the switches are off, and the chargers on, and allow each bank to charge property according to their specific battery profile. If not running a charger, follow as is. The other option to accomplish the same thing would be to switch your grounds going to the ACR. This is the diagram for what I'm talking about, minus the 3'rd bank. 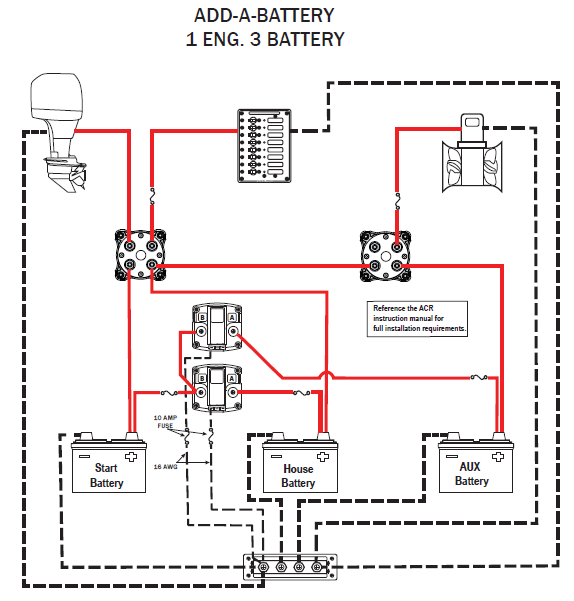 It's an approved wiring schematic from blue seas. View Next Unread How to clean white water hose?